Before I delve into this week's blog post, I would first like to acknowledge what a great game this year's Monon Bell contest was. Though I have been saying that the game was won in the first five minutes when Wabash took the lead, I think it also saw the DePauw Tigers give the Little Giants a nerve-racking battle. I'm not as invested in the statistics and strategy as the other guys in the newsroom, but what I saw with DePauw's three interceptions and capitalizations on missed Wabash plays is that they are determined. Conference records aside, there is a lot of pride riding on this football game, and I give credit to my second cousin Chase Andries (who was thrust into the fray as DPU's quarterback after recovering from a serious injury) and the Tigers for stepping up and effectively outplaying us drive-for-drive. DePauw put up a fight and have nothing to hang their heads about, and that's the way it should always be. The rivalry is alive and well. This week's musings will go somewhere that I have tried not to. I think I have been conscious about diving too deeply into political issues. Indeed, we are not far removed from the midterm elections. However, there is one recent incident involving President Trump and CNN that I can't get out of my thoughts, especially as a member of the press myself. This incident is part of the imbroglio surrounding CNN White House correspondent Jim Acosta and his recent spat with Trump as he critiqued his comments about "caravans" from Central America "invading" the U.S. What has drawn ire to the White House's position is that the president's claims of "very bad people" traveling in the group and his prerogative to not permit their entry have been criticized as unfounded and politically motivated. Things got heated a week ago when Acosta challenged Trump about those comments during a rare briefing when the president took questions in person. 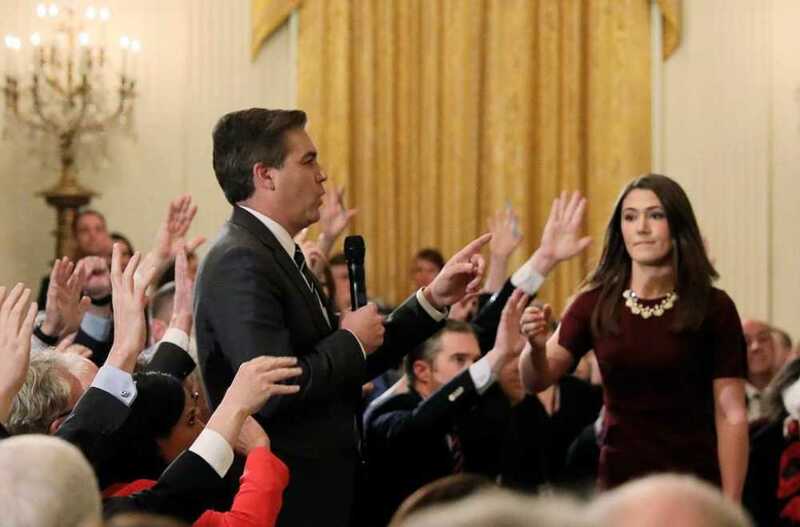 What the exchange boils down to is that Acosta refused to give up the microphone and continued to pose questions, albeit in a fairly confrontational manner. Trump was indeed no less aggressive. It was childish for him to simply call Acosta a "rude, terrible person" and declare that he should run the country and let Acosta run CNN, a clear calling to his attacks on the news network as "fake news." There is also controversy surrounding Acosta's attitude toward a White House intern sent to take the microphone from him. The executive is now deeper in a very awkward situation, as a video of the exchange tweeted by White House Press Secretary Sarah Huckabee Sanders has been roundly dismissed as doctored to make Acosta look more aggressive toward the intern. Counselor to the President Kellyanne Conway has not made things any easier. This kind of interaction was just another contest between the press and the president - until the White House announced later that it was yanking Acosta's press pass. Now CNN has sued the administration to reinstate Acosta's credentials, citing an infringement of First Amendment rights. Trump's supporters think Acosta and CNN are at fault and are simply complaining about being shut down. Trump's critics range from thinking this is nothing out of the ordinary, to believing, as has been said before, that the president has gone too far this time. I'm looking at this scenario for its wider behavioral elements. I'm looking at the posture of both the White House and CNN and the implications this controversy has for the freedom and ethics of the press. Could Acosta have been more tactful interacting with Trump? I think it's at least fair to propose he could have done so. If he could have just acknowledged that the president was not going to give him that courtesy and stopped his questioning, this would probably not be as big a deal as it has become. But Acosta, as a fierce Trump critic, is determined to hold him to account. On the other hand, if Trump had just even tersely answered the question, that would be it. That is where part of the issue lies with Acosta's pressure and the Trump administration's reaction to it. As a journalist for a national news network, Acosta has an obligation to be objective in what he sees and reports. He also has an obligation to be judicious in his conduct. However, he is also an American journalist who has the guarantee to be able to ask the tough questions. Calling Trump's leadership and rhetoric into question is a means to an end. Jim Acosta did nothing wrong as to his conduct. He was a member of the press putting himself out there in a confrontational, but non-violent manner, perhaps knowing he would be ridiculed anyway as others were during the briefing. Him being punished by having his press pass revoked, to me, encapsulates Trump's hatred of a press corps that questions him and does not give him unabashedly positive coverage. The problem is that Trump also thrives off of this controversy, and it further fuels his base. It would be such a simple but powerful act for White House correspondents to stop attending the briefings. However, such a protest would demonstrate impotency for the freedom of the press, all the way from CNN down to my post as a reporter for the Banner Graphic. That's that last thing we need in this political climate. Journalists have their own convictions, and they all should challenge us, not back down from the fight. Acosta was the guest that couldn't stomach being told "no" from the homeowner and instead of showing any respect for anyone within proximity during his little display, he instead threw a tantrum like a big baby... What he did far outweighed anything Trump did. Trump might be a broken watch that tells correct time only twice a day, we get it, but he's been consistently correct about CNN: they've been a trashy news org for quite some time. Their business model revolves around rattling peoples' cages, capitalizing from controversy, etc. They're trash. Sorry, but Trump did a good thing.